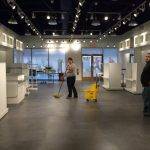 Montreal Commercial Cleaning Services, offer several Cleaning Services in Canada. 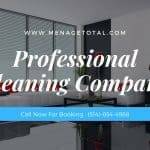 Our office cleaning team can uniquely handle the toughest stain and dirt in your office. 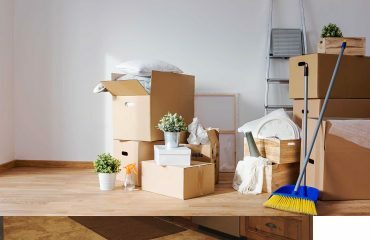 We not only but also leave your office clean, fresh and renewed. 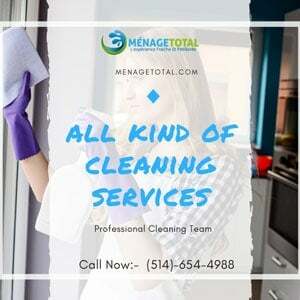 On the whole, Menage Total has trained and certified cleaning professionals. We make use of powerful equipment and units to ensure quality cleaning service possible. 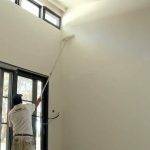 Given these points, professional Cleaning gives your business and facility the professional look it deserves. 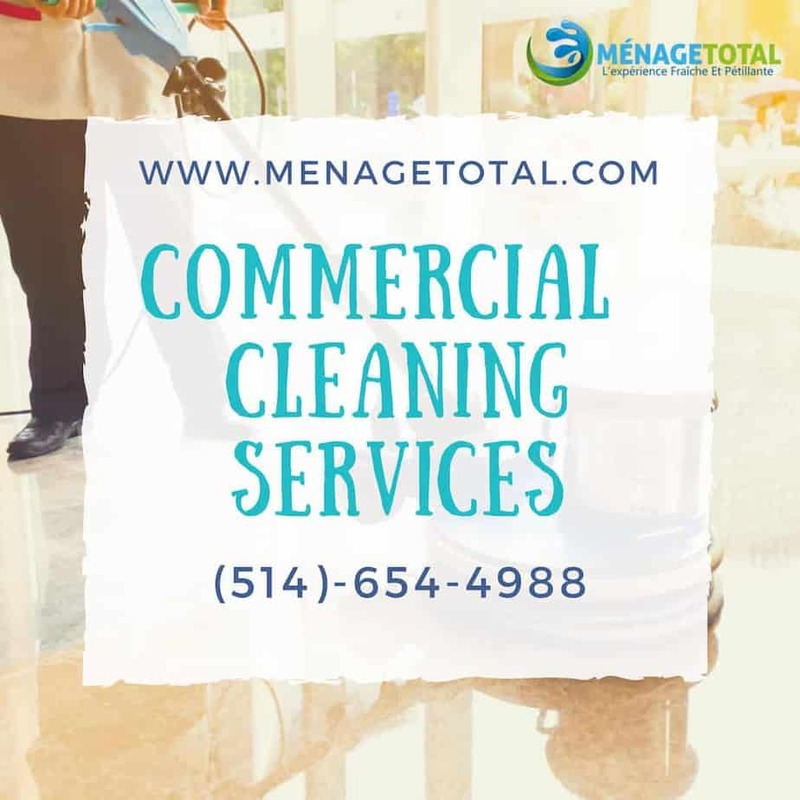 Not to mention Montreal Commercial Cleaning Services provides routine commercial carpet cleaning to help preserve the quality and beauty of your carpet for years to come. Similarly, we use this method to make sure all sides of the carpet fiber are cleaned thoroughly together and the carpet file lifted. Hands alone cannot do this effective cleaning.